GET LIMITED EDITION CARPET FROM USA, TURKEY, AND INDIA. TOP BRANDS! Serenity Blue Faux Sheepskin Trellis Rug is ahand Made rugs that is made from wool blend mainly use for Indoor. The rugs is Rectangle in shape with attractive color (As Per Figure). It has Kids design style with a Woven backing type. Serenity Blue Faux Sheepskin Trellis Rug has High durability and it has good resistance to stain. Wool is natural material that come from sheep and is one of the most common material used to make area rug. It is moderately soft and has that high durability against wear and tear. 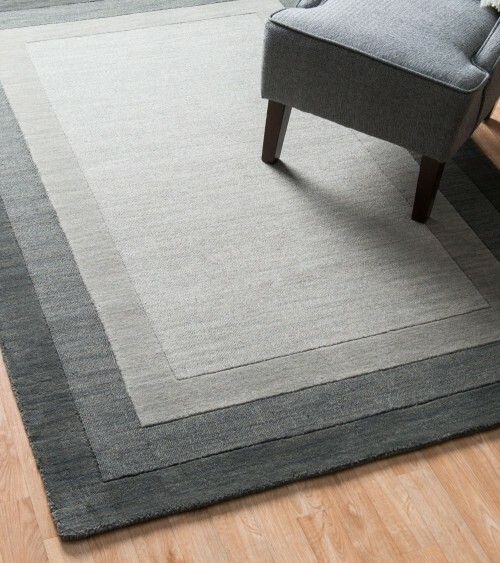 If properly maintained, rug made from wool can last hundreds of years. This mean its rug characteristics will remain i.e. the feeling when you first time stepping on the wool rug will remain the same over many years. 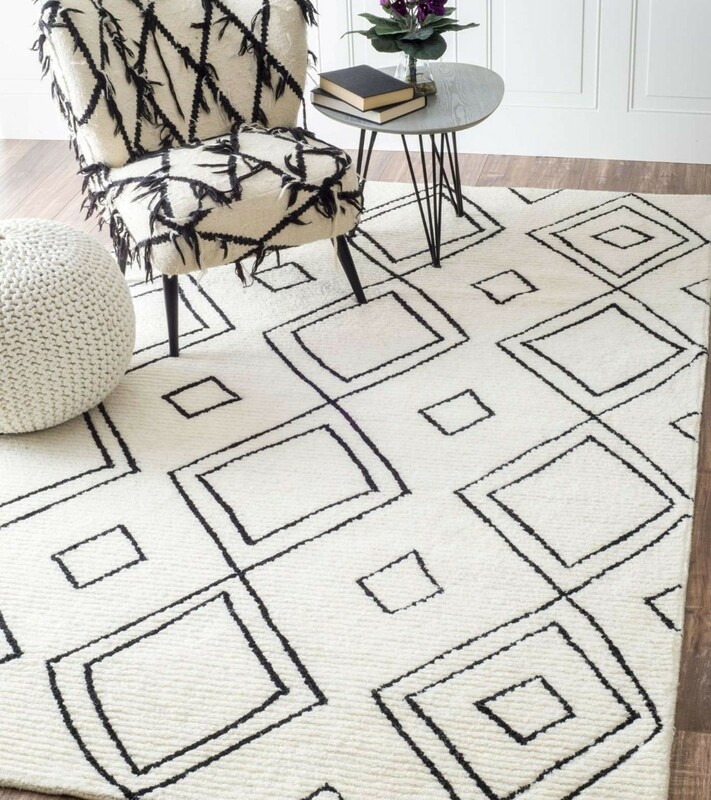 Area rug made from wool is normally plus minus 1.5cm thick if tufted and slightly thinner if it is made as hand knotted rug. Wool can be mixed with other material such as viscose, silk, cotton, jute, and sisal to make rug. The characteristics of such mixed material is different from rug made from 100% wool. Maintenance of this material is moderately easy. Regular vacuum for fresh new rug to remove some traces of yarn shedding for 2-3 weeks is common (depend on wool quality, New Zealand wool has less shed for new rug compared to other wool i.e. India wool, china wool, etc). The shedding will subside after a while mostly in a 1-4 weeks. For hand knotted wool rug shedding is far less or almost none for 100 knots quality. Handtufted rug commonly sheds a bit in the beginning. Shedding basically is part of material characteristic and is not some sort of manufacturing defects. This type of rug can be customized. I.e its color, size, shape, and quality. Viscose is a premium look yarn or material that when used to make a rug will have some glowing looks that make the rug looks luxurious. Viscose is almost as soft as silk. It is a very good heat conductor which means it will have this refreshing feeling (cold) when it is place in a room with colder temperature. Viscose is in general is economic option for those looking for rug with silk characteristics but with far lower cost. Same like wool, this material characteristics last for hundred of years. Viscose yarn is finer then wool. Similar to wool, viscose require the same maintenance in the beginning as it does sheds a little. New viscose rug sometime can easily stick to a cotton trousers (sheds of viscose yarn). However, the viscose shedding will subside as early as 2-3 weeks of regular vacuum (once or twice a day). Shedding basically is part of material characteristic and is not some sort of manufacturing defects. Jute is a material that comes mostly from banana trees. It is moderately soft but slightly rough. It normally used for both indoor and outdoor rugs. Most jute rug is used for dining area or for outdoor lobby. In term of thickness, jute rug is extremely thicker compared to wool or viscose rug. But jute also can be made in flatweave rug type with 1.2 cm thickness. Easy to maintain. Sisal is a material that has characteristics quite similar to jute. The notable different is that sisal is weaved using machine while jute is weave manually by rug artisan. Sisal is slightly rougher then jute. However in term of durability sisal is very highly durable and can be used for high traffic area where many people walk through it. Like jute, sisal is extremely easy to maintain. This type of rug can be used for dining, living and other area depending on type of interior and function required off the rug. Acrylic is a synthetic material with looks and feel closed to a wool. It was made to offer more economic value with yarn characteristics almost similar to wool. This material is made from many combinations of chemical compounds and does have the moderately softness, durability, and characteristics of a wool. However, as other synthetically made material, the material characteristics will subside over time and commonly its fluffiness will last as long as 8-12 years depending on the way the rug being used and maintained. 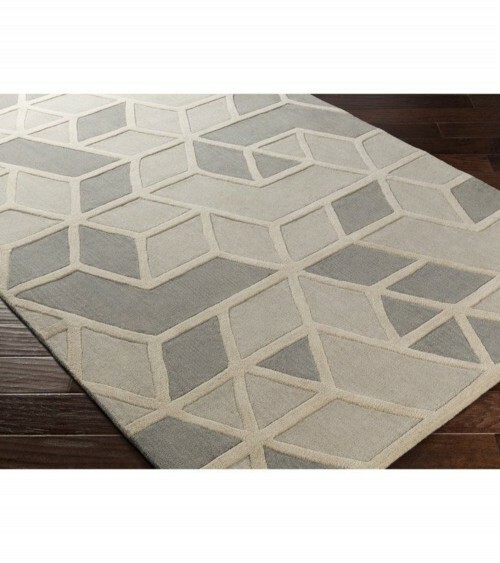 Similar like wool, acrylic rug does sheds. Lower grade acrylic like the one made by small manufacturer in china even from India will continuously sheds within the life span of the rug. Acrylic does come with higher grade (more expensive) and some grade offer far better quality then wool i.e. less sheds and last longer. Acrylic is mostly used to make handmade rug. In term of maintenance it follows the same rule as wool and viscose rug. Polypropylene (PP) is a synthetic material made from polymer (petroleum based by products). In general, PP is mostly used for machine made rug and come with standard fixed size. PP is moderately soft but normally rug made from PP is thin with approximate 1.1 to 1.2 cm thick. Depending on the quality of manufacturing and PP grade used, a PP rug characteristics i.e its softness and fluffiness will remain between 3-8 years. Turkey rug made using PP normally last as long as 7-12 years depending on how it is used and maintained. Easy to maintain i.e. standard vacuuming and spot cleaning for stain. 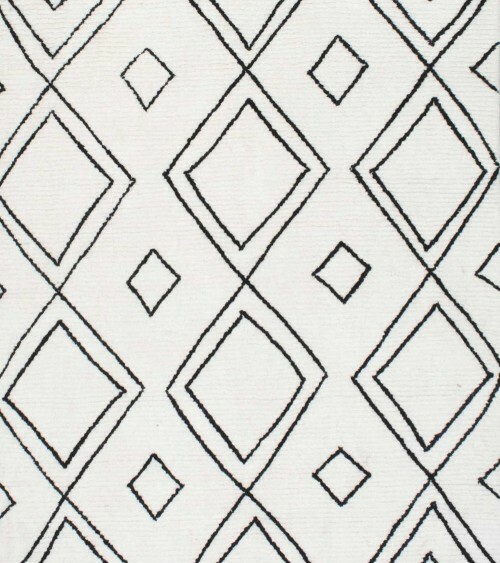 This type of rug cannot be customized in small quantity. Atleast 150 square meter is required for customization. Similar to PP, polyester (PE) is a synthetic material made from petroleum by products. In term of characteristics, PE is extremely soft material and does offer glowing looks like viscose. Rug made from PE is normally very thin around 1.1 to 1.2 cm thick. However, the rug is still extremely comfortable and soft. To offset the thickness issue, a rug pad is commonly used to provide more cushion to a PE rug. 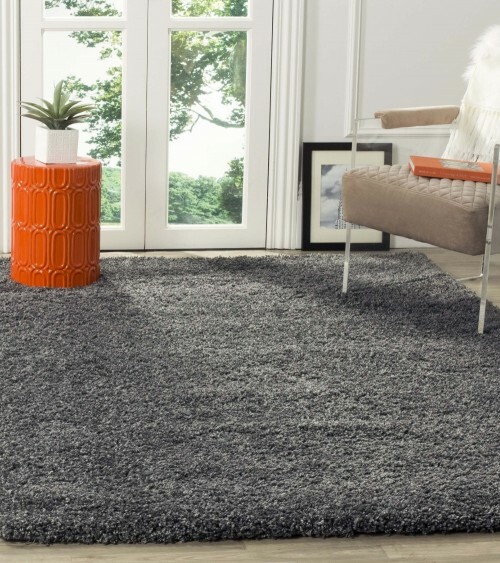 This type of rug normally maintained its fluffiness as long as 5 to 7 years. Deciding what rug size is crucial to avoid buying the wrong one. The following 3D view is to aid Cantikwall customer to visualize the standard size offered. For custom size, please contact our customer service for assistance. Click here. 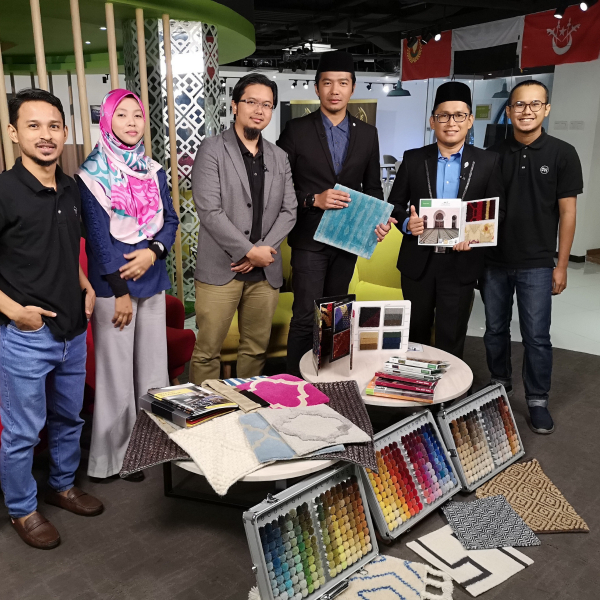 Hear from the founder of Cantikwall himself on how Cantikwall can assist you on customizing your rug. Cantikwall's founder give more insight on this matter.